With the Note 8 and S8 released this year. All eyes are now on Samsung's upcoming flagship which is the Galaxy S9. 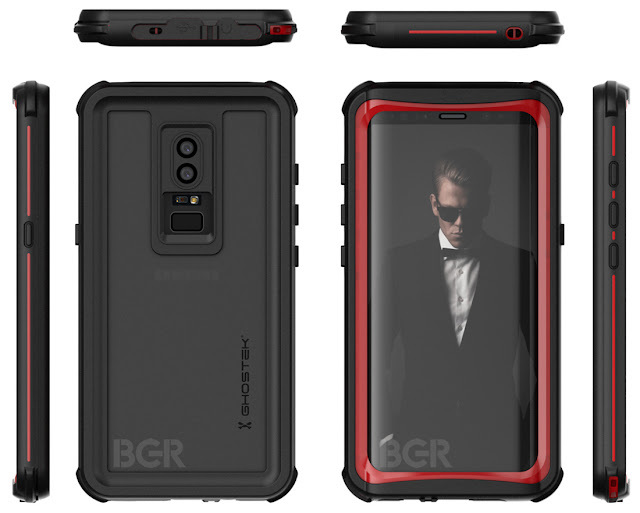 A new leak by BGR purportedly show the near-final design of Samsung’s 2018 flagship. Based on information “from the factory that is building Samsung’s new flagship phones”, these renders (from case maker Ghostek) are said to be “mostly accurate” and suggest that Samsung will be making a few minor but useful changes to the design that debuted with the Galaxy S8. As you can see on the render, the back of the S9 is sporting a dual camera setup and the fingerprint sensor appears to be at the right place this time. Samsung’s Galaxy S9 is one of the most hotly anticipated new smartphones of 2018, and it’s expected to be unveiled in February ahead of a March release. But rumors suggest that we might see the S9 showcased on the CES 2018 that will be held on January 2018.